Very little is known about Samsung’s next Galaxy smartphone. The previous iterations, the Galaxy S and S II sold a cumulated 30 million, so the pressure is on for Samsung to deliver a killer device that would rival the sales of Apple’s iPhone, which is also due a refresh, probably some time this summer. The typical online speculation on what the Galaxy S III will bring points to a larger screen, possibly 4.6-inch, bigger than the S II’s but still below the Note’s, and in line with the Galaxy Nexus. You could also expect a quad-core processor, 4G connectivity, a high-resolution camera, something up to 12 megapixels, and Android 4.0 on board. 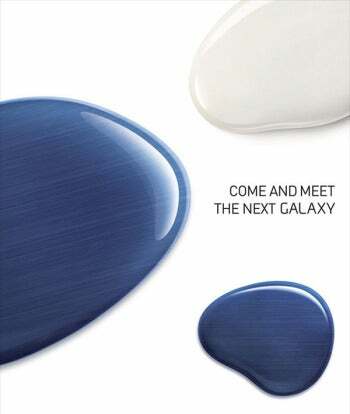 The invitation to the Samsung event could also hint at what to expect from the S III. The paint-like blobs suggest the new phone could feature a S-Pen stylus, as found the Galaxy Note tablet/phone hybrid. Meanwhile, the brushed metal effect on the blue botch would indicate the S II could ditch the plastic case in favor of a metallic one. Samsung said it will be broadcasting the event live on its official Facebook page.